E-Brake will send granny to eternity. 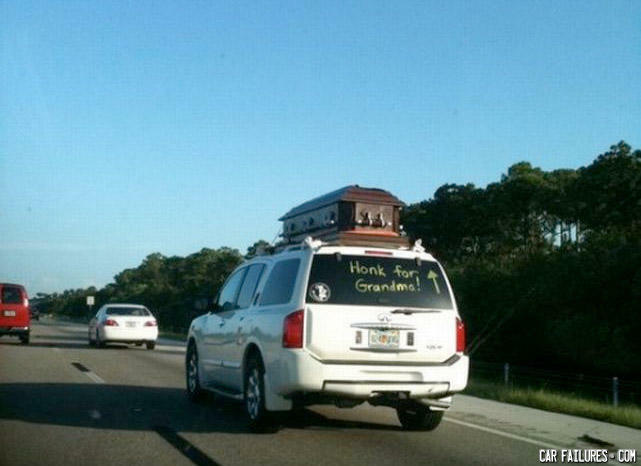 The modern version of "The Lincoln Funeral Train"
in back window better said "honk for mother in law". "I'll get you closer to God!" What eats dicks for dinner and smells like he just licked an STD infested turtle?